Spring Cleaning…the Junk Bros Way! After a winter like we’ve had this year in the Treasure Valley, Spring is more welcome than ever! Most of us are looking forward to getting out and making those much-needed home improvements. 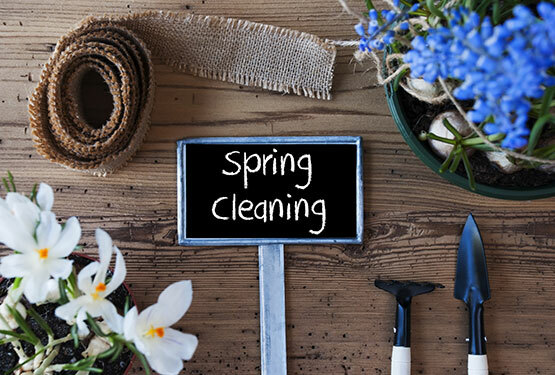 A big part of home improvement starts with spring cleaning. You must clean before you fix. If you don’t, you’ll likely miss some of the smaller projects that need your attention. Junk Bros professional junk removal will make your spring cleaning easier than ever. All you have to do is point out what’s got to go and they’ll do the rest. You can certainly rent a dumpster and begin to fill it yourself. Many folks do that. Here’s a recent article we wrote about why you should use a junk removal company in the Boise area versus renting a dumpster. Once you read this, we think you’ll agree that it’s easier, and just as cost effective, to let Junk Bros handle it for you! Spring also kicks off the beginning of moving season for many people. Whether you’re moving out of a rental or trying to sell your home, you’ll have a lot of cleaning to do! If you’ve been in the same home for a decade or more, you’re likely to have tons of stuff that you simply no longer need. Once again, Junk Bros can help! Here are a couple of more articles that you may find useful. First, if you’re moving into a new home, check this quick read about how to streamline before you move. Second, if you’re a property manager and have multiple units that need cleared between tenants, we’ve got your back! Here’s an article about property managers and their relationships with junk removal companies. Remember, Junk Bros will always try to recycle or donate your unwanted items. It’s not about filling up the landfill! It’s about freeing up space in your home. Unsure about what to do with your unwanted items? Here’s a list from Lifehack.org with 10 ideas for your unwanted junk. There are some great ideas in here to help you make sense of the stuff that’s built up over the years! If you feel overwhelmed, don’t worry! Junk Bros will come to your home and give you a free, no-obligation estimate. It will be in writing so you’ll know exactly what to expect. No hidden fees here! Contact the Junk Bros today at 208-297-8720 or email mailto:info@junk-bros.com. Your spring cleaning just got easier than ever!